Kashmir Golf Club: the oldest and perhaps the first Golf course of Kashmir valley, situated on Maulana Azad Road near TRC ground. Built in 1887, this golf course with 18 hole and par of 70 is spread over 52 acres and is surrounded by mighty chinar trees on all four sides. This golf course provides splendid views of Suleiman Hills and Shankaracharya Temple. Royal Spring Golf Course: this golf course is nestled between Zabarwan Hills on one side and Dal lake on other side. Royal Springs Golf Course is spread over an area of 300 acres and offers wonderful landscape. Its magnificence enthralls the players of international repute. Designed by world famous golf architect, Robert Trent Jones II, who has designed more than 500 golf courses all over the world. The 18 hole and at par 72 golf course offers a challenge to all level of players who delightfully compete in the exotic environs. Pahalgam Golf Course: Pahalgam has an outstanding 18 hole golf course. Nestled among pine trees this golf course provides splendid view to golfers. 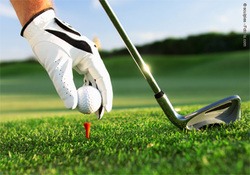 The golf championship is organized by state government and private hotels in summer also organize the championship. Gulmarg Golf Club: the Gulmarg Golf club was first developed as 8 hole golf course in 1892. Since then it has been developed in to 18 hole golf course at par 72. This golf course has the distinction of being the highest golf course in the world. Championships are held every summer.Guests can hire a golf set and balls for the day from pro-shops at the golf courses. Club house restaurant and bar facilities are available at golf courses.